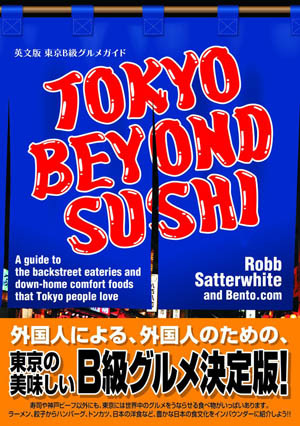 Open 5-11pm (LO; Sat, Sun noon-11) daily. 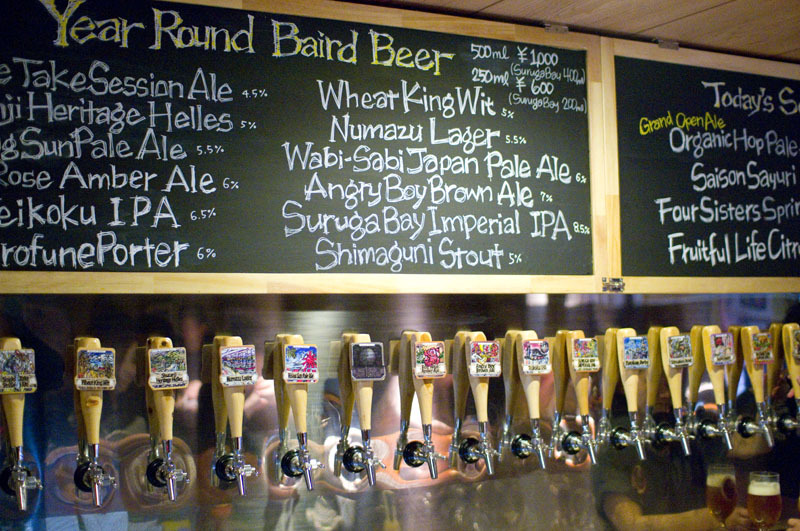 Yet another bar from the Shizuoka-based Baird Brewery, Takadanobaba Taproom offers the usual range of more than twenty Baird beers on tap in a casual space. 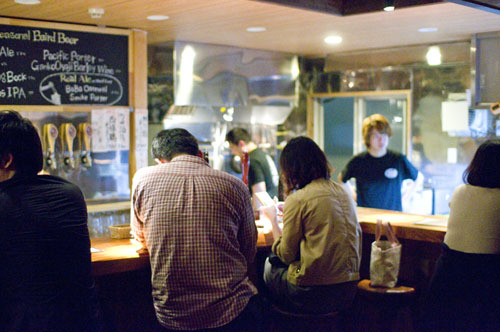 Like the other Taprooms around town, the Takadanobaba branch seems to be popular with craft-beer-drinking foreigners. 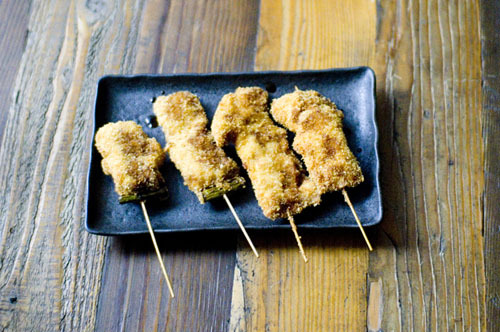 The rather simple food menu focuses on deep-fried kushiage, with mixed results, and there are also lighter dishes like avocado carpaccio and tomato salad. There's a small, three-table non-smoking outdoor terrace for when the weather permits. Shinjuku-ku, Takadanobaba 3-2-14, Nakamura Bldg 2F.